Firms with aviation exposures in the U.S. trust Marsh & McLennan Agency to analyze the issues facing their organizations and provide specialized solutions and advice built on experience, industry knowledge, and strong insurer relationships. We’ve assembled a premier staff of aviation risk and insurance experts who have a comprehensive knowledge of all aspects of the aviation industry. Unlike most brokers, we gather detailed information on the front end before we ever approach insurers. We make sure that underwriters completely understand the risks, exposures, needs and special circumstances of each individual client. This positions us to negotiate with multiple carriers on behalf of owners and operators to get the right coverage at the best price. With MMA, you gain access to powerful resources, including our industry-leading analytics, our risk consulting expertise, and the specialized knowledge of the aviation industry. 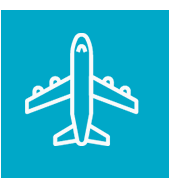 Having worked with aviation companies, we understand your needs and communicate them to the insurance carriers. Also, as the leading risk insurance broker serving the sector, we have the insurer relationships to find the best deal for your company’s needs.